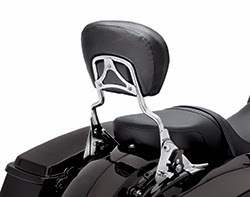 MILWAUKEE - A passenger can select a custom fit with the new Premium Detachable Backrest with Adjustable Recline (P/N 52300257 Chrome, P/N 52300258 Gloss black; $299.95) from Harley-Davidson® Genuine Motor Parts and Accessories. 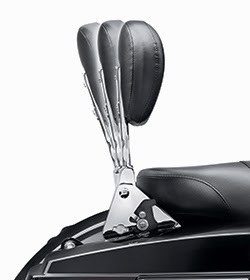 By simply turning the glove-friendly locking knobs, the angle of the backrest upright can be adjusted to one of three recline settings, either 8 degrees back or 8 degrees forward from the standard mid-position setting. The exclusive cam-lock detachable design makes it easy to install or remove the entire passenger backrest assembly in seconds. The backrest is compatible with all Harley-Davidson accessory luggage racks and touring backrest pads (sold separately). Available in chrome and gloss black finishes, this adjustable backrest fits most 2009-later Touring models equipped with the required Docking Hardware Kits or a Detachable Tour-Pak Rack Kit (sold separately). 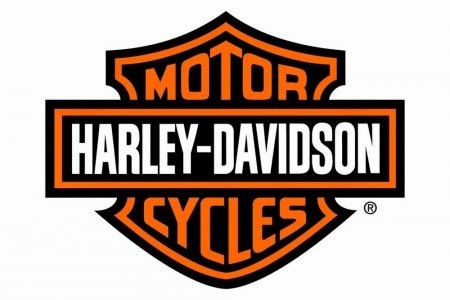 See an authorized Harley-Davidson dealer for fitment details.